Welcome to my little shop. This is a selection of my art available as small Art-Postcard prints. I personally print each one. 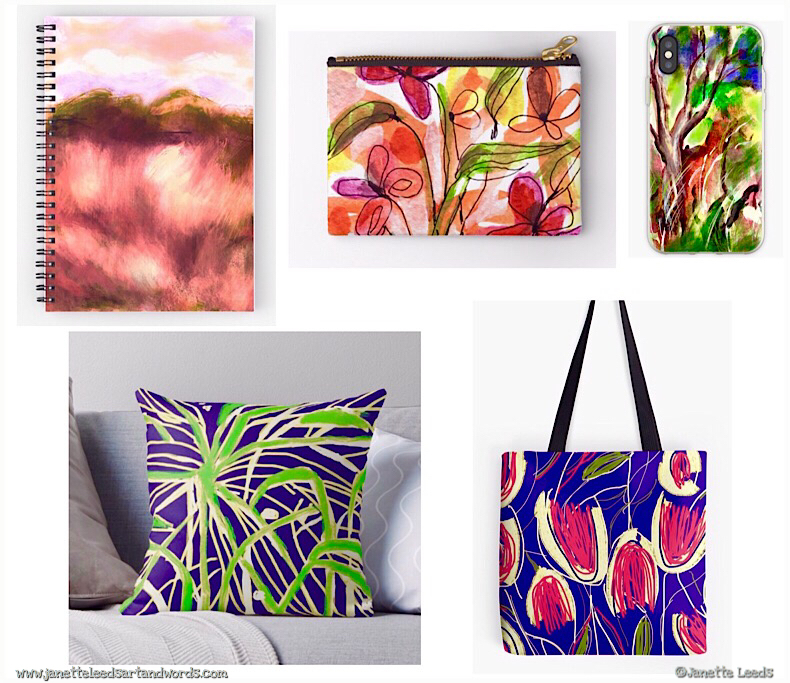 My art is for sale locally, and a selection of my designs are on various items in my Red Bubble Shop. I use fade resistant – to 50+ years – inkjet inks; and 300gsm, eco friendly, acid free, (lightly textured) matte paper. Size: 15cm x 20cm – which includes a small white border, for easy framing. Each Art-Postcard print comes with a 100% recycled envelope and will be in a biodegradable cello bag. For shipping, it will have a heavy card backing, and is placed in a large rigid mailer. *More purchase info at end of this page. On the reverse side, the matte paper makes a suitable surface for writing on. They also easily fit into a 15cm x 20cm “off the shelf” frame. Although my name is printed discreetly within each artwork; my web address and name as seen below, are not on a purchased print. On the page, “Printing iPad and Traditional Art”, I share extensively about my printing processes, and the products and materials I use, (the iPad is invaluable for many of these processes). Painted freehand using art media in the Procreate app. Print $8, $6 postage. “WOMAN’S FACE” 1.A” features in this post. Painted with watercolour on paper, and a little art app media. Print $8, $6 postage. “ONE OF OUR DOGS”, features in this blog post. Reproduced from my watercolour on paper. Also has a touch of art app media added. Print $8, $6 postage. I also share about “A PASSAGE OF PEARS” here. Ink pen, Inktense block washes, pencil and gouache. Print $8, $6 postage. “TREETOP MAGPIES”, is included in a blog post, here. Ink pen, watercolour, gouache, art app media. Print $8, $6 postage. “FLOWERS I.Z”, can also be seen here. Many artworks within my blog posts are also available for purchase as a Art-Postcard print. If there’s one that interests you; you are welcome to send me a message via the contact form further along. PAYPAL is a safe SSL Certificate site, as is my website. You don’t need a Paypal account to use it. These prints are presently, only for sale and postage within Australia. However, if you are interested in buying a print, and live overseas, please send me a message via the contact form, at the end of this page. I’d be happy to make that possible! I print them as needed – please allow two weeks for delivery. If you have any questions about my art prints please message me via the contact form. All copyright and reproduction rights of art for sale, and elsewhere on this site, remain with the artist: Janette Leeds. Some items from my Red Bubble shop.